The Faro Wellness Center in Ponce opened in February. Vesalius, operator of a network of medical cannabis dispensaries in Puerto Rico, announced Monday the opening of five clinics in different locations throughout the island. Upon opening, the company will be offering educational workshops with patients aimed at teaching proper use of the medicinal plant, company executives said. “It is with much pleasure that we announce the opening of the first five clinics in our network, Vesalius, of about 17 that will be opening its doors in the next three months,” said John Reyes, CEO of Vesalius and a pharmacist. “We will take the opportunity to continue our goal, which is to continue to educate about the benefits of medicinal cannabis,” he said. The clinics are: The Wellness Cannabis Center in Cayey; Four Points Wellness Center in Arecibo; Frontier Wellness Center in Caguas; Frontier Wellness Center, in Humacao; and Faro Wellness Center in Ponce. The clinics will offer patients the “best products and guidance on the proper handling of medicinal cannabis,” the company said. 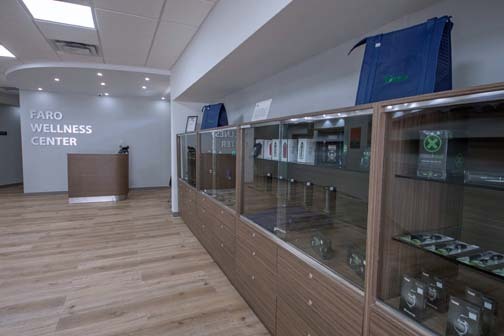 Hey Buddy!, I found this information for you: "Vesalius opens 5 medical cannabis dispensaries". Here is the website link: https://newsismybusiness.com/vesalius-cannabis-dispensaries/. Thank you.